Heat vegetable broth on stove top in small sauce pan and mix in honey stirring constantly. Wisk together and remove from heat. 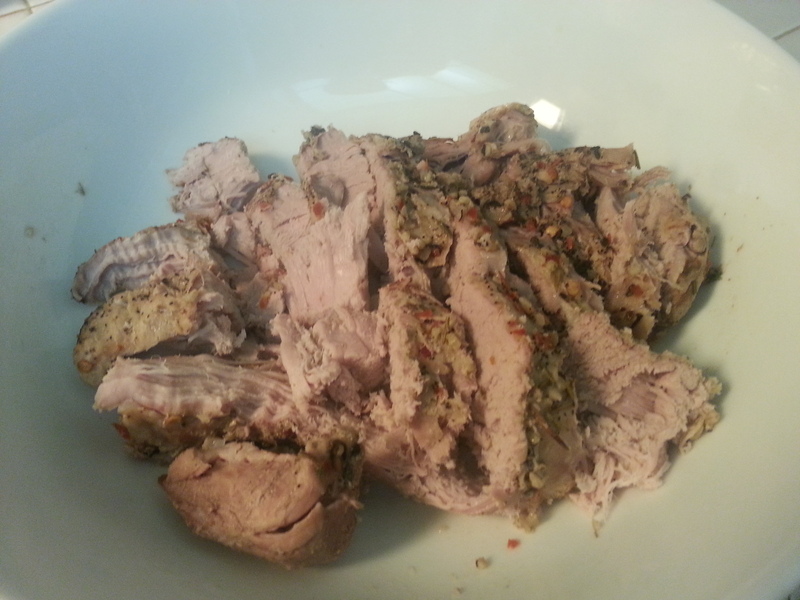 Place pork at the bottom of the slow cooker and pour honey broth mixture on top of the meat. Top meat with soy sauce and season with garlic, rosemary and oregano. Cook on Low heat for 7-8 hours. Remove tenderloin and let sit 5-10 minutes. Top with broth from slow cooker before serving.